Well…YES! As a matter of fact we DO have yellowtail. Only problem is that they’re NOT supposed to be here. Our waters are about 90 degrees right now! 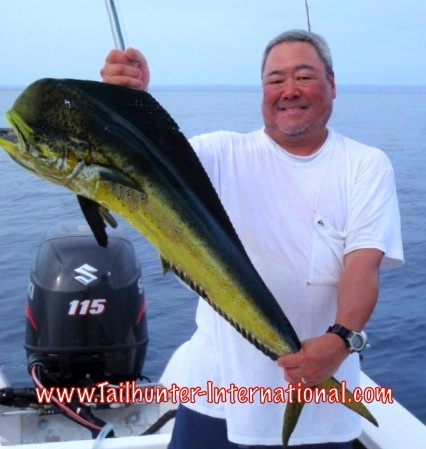 We get our yellowtail in the winter and spring when the waters are COLD! Never in August! 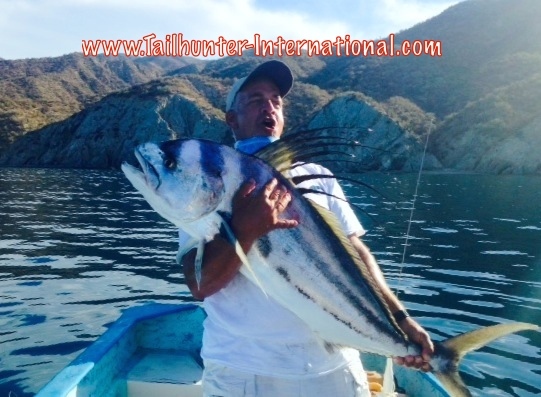 Our amigo Esteban Romero hooked 3. 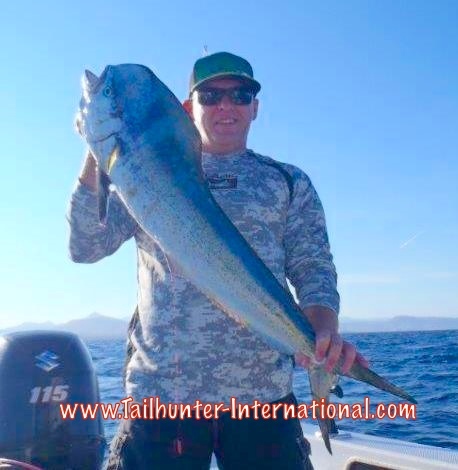 Two got unbuttoned, but he put this 30-pound class slug into the panga using a live mackerel fished down deep! Also, something we never have to do is fish deep! 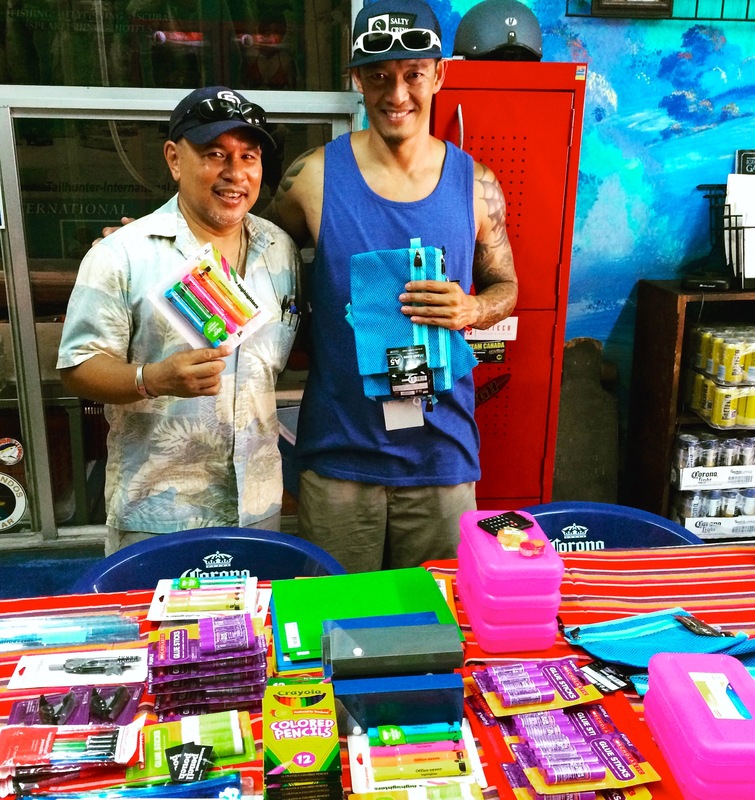 His first trip to La Paz turned out to be banner for Kit Luu of Monterey Park CA. He got his first roosterfish. He caught dorado. 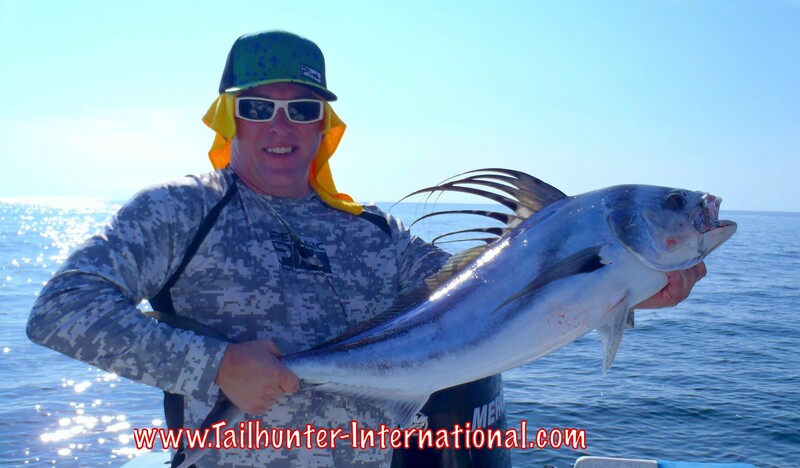 And, while he was jigging a Mega Bait, he hooked onto this nice wahoo…his first! Captain Victor looks on! 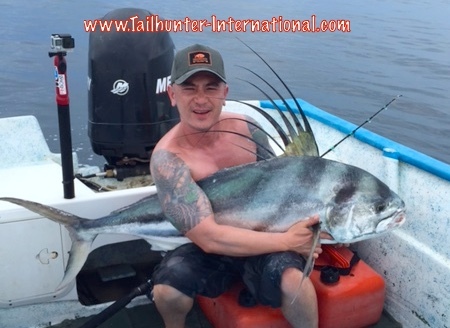 Another of our anglers on his first trip to visit us, Jason Christofferson from Las Vegas was with Captain Pancho when he latched into this trophy roosterfish off Las Arenas. Great photo and the fish was released. Happy Birthday to Ken Chau! 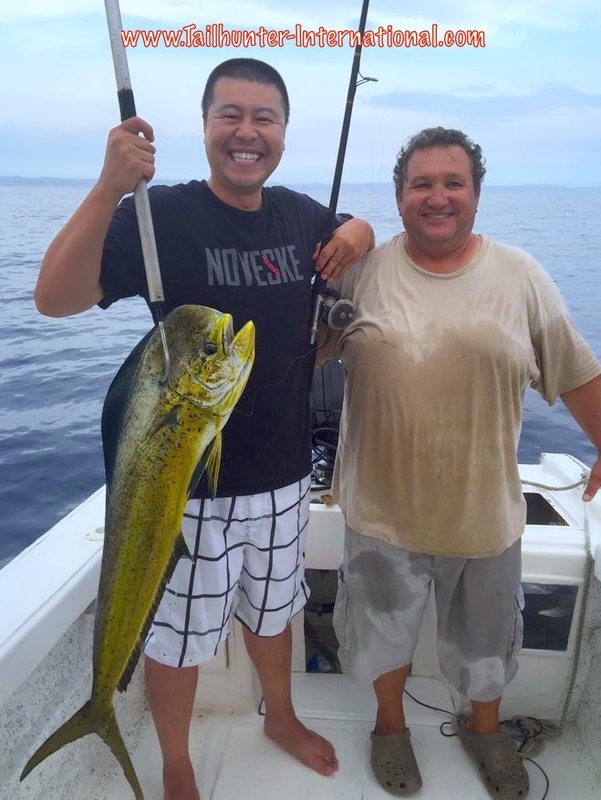 Ken is from Rosemead CA and on his birthday, he shows off a few of his fish…a nice dorado and one of the fat bonito we’ve got north of La Paz. San Francisco in the house. 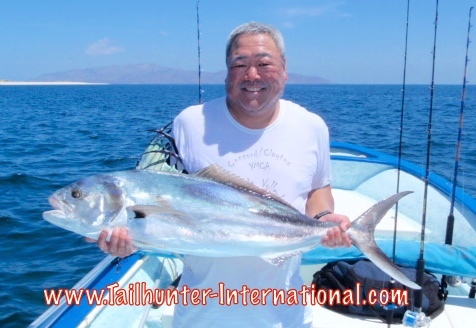 Paul Nagata is our good amigo who has been visiting us for years put the hurt on a nice rooster fishing with our popular Captain Jorge. The fish was released. Big fat rooster! 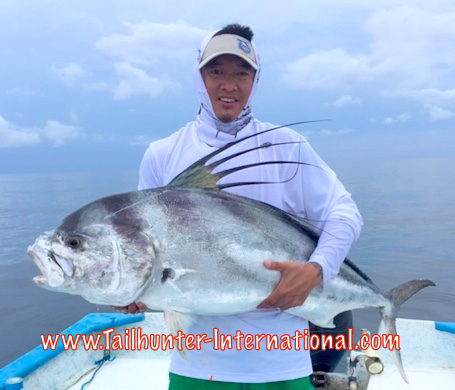 Vong Mekdara from Monterey Park CA went out with rain clouds threatening from Bahia de los Muertos with our Tailhunter Las Arenas fleet and hauled in this huge rooster! The big guy was released. The dorado are finally getting a bit bigger! Three weeks ago, this would’ve been the biggest dorado of the week! 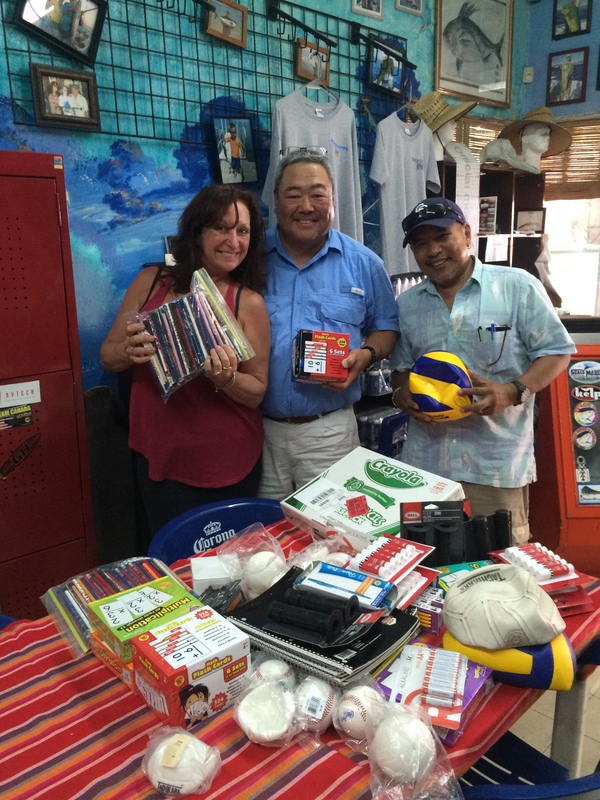 Kit Luu and Kerry Lam put a number of dorado into the boat fishing out’ve La Paz. 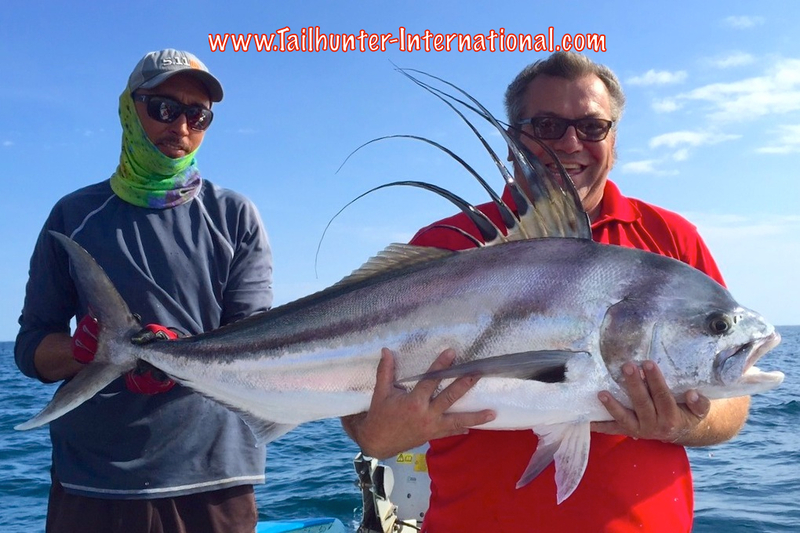 Scott Harvey from Del Mar CA brought his son, Andrew, down for the week to do some fishing and got into the fish himself including this roosterfish he was able to photo and let swim away strong! It has been a good year for billfish this year, especially with so many bonito and small dorado in the areas serving as food. 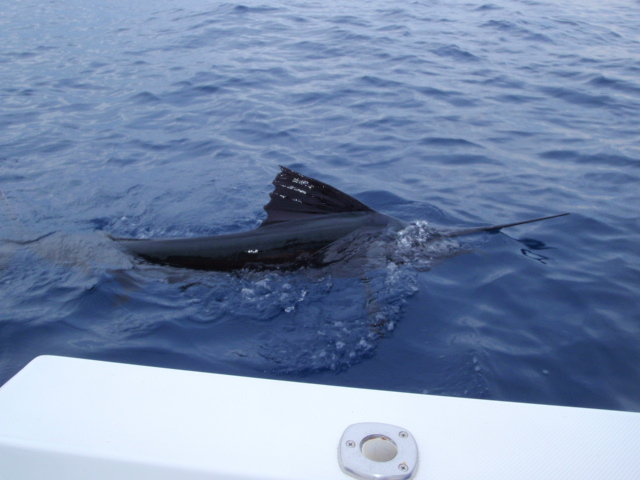 This is a photo of Paul Nagata’s sailfish as it was being released after a good battle. 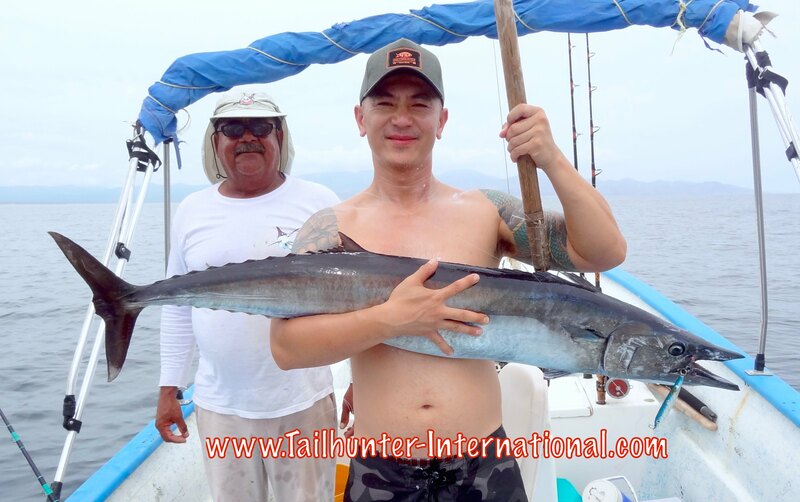 Paul was fishing north of La Paz Bay. STEADY FISHING MIXED WITH AFTERNOON THUNDERSHOWERS! The week was a typical August kind of fishing week for us! 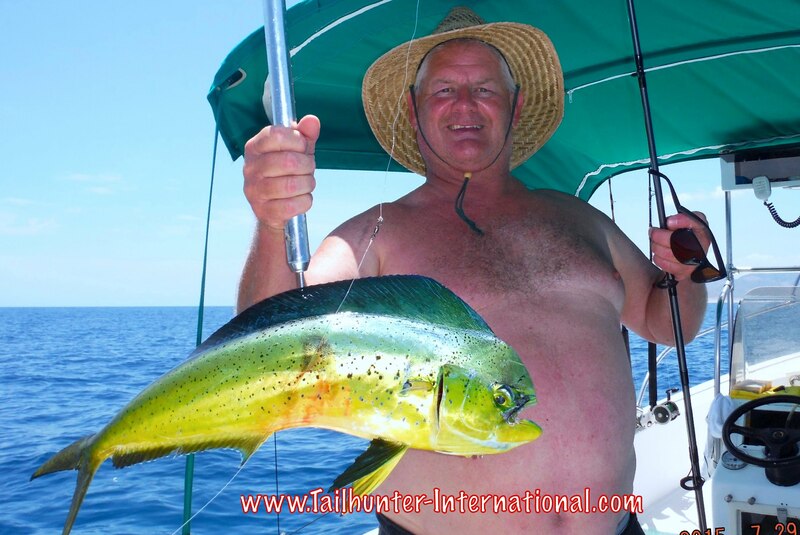 Everyone caught fish and most of it was dorado which is about right for this time of year. 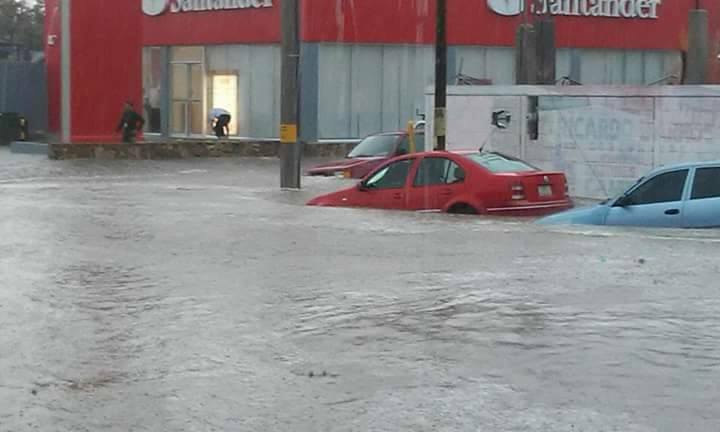 Also, it was a week of tropical thunderstorms. No hurricanes, but afternoon showers that would bring torrential rains (usually after everyone was done fishing…but sometimes not) that flooded streets in a flash but then quickly ran off and the sun came blazing out again. 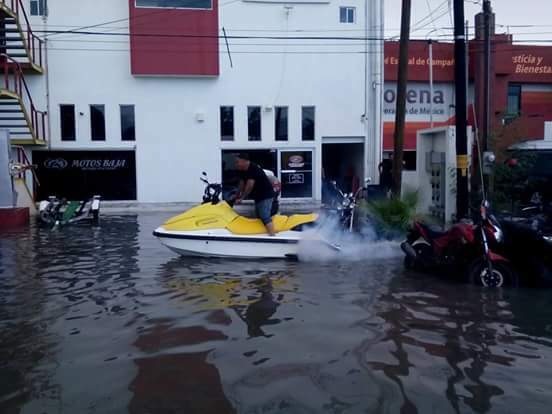 Those of our fishermen that occasionally got caught out there told us they got drenched, but it was warm “like a shower.” Or, they could see the columns of rain falling straight down from the sky and simply drove around it. It would rain hard in one spot, but a mile away barely a drizzle! There were some pretty spectacular thunder and lightning shows, however, and the thunder was like “being inside of a trash can and kids whacking it with baseball bats,” said another of our anglers. This coming week, however, shows no rain in sight. This has been our “grab bag” area all season. Just crazy fishing. Never know what you’re gonna catch! About the ONLY consistent biter all season has been big rooster fish. And these are all 30-50 pound fish! 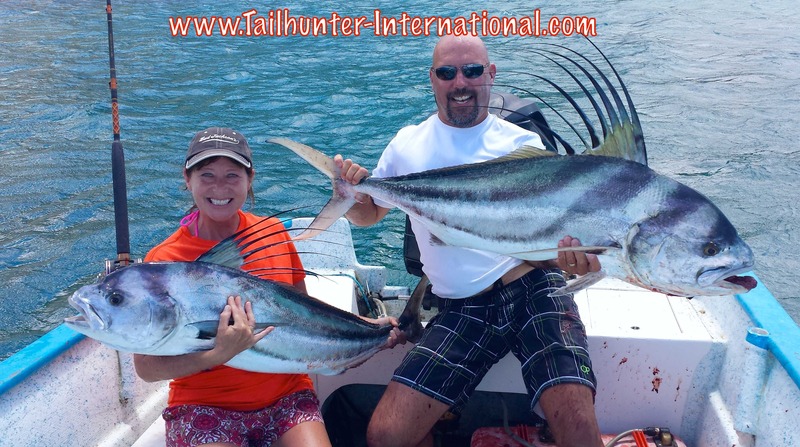 Many of our anglers are getting their “first-ever” rooster fish and all of them have been trophy-sized fish. There have even been larger fish, but they’ve busted off with estimates of fish going up to 90 pounds breaking off. The bad thing is that roosters are bad eating. They don’t help bring any fillets home in the ice chests! The good thing is that all the roosters are getting released. Pretty much, if you didn’t get a rooster, there wasn’t much else and that’s too bad because traditionally the Las Arenas/ Muertos Bay area has been a big old fish trap for all kinds of species and action. So, beyond catching roosters, that was it. 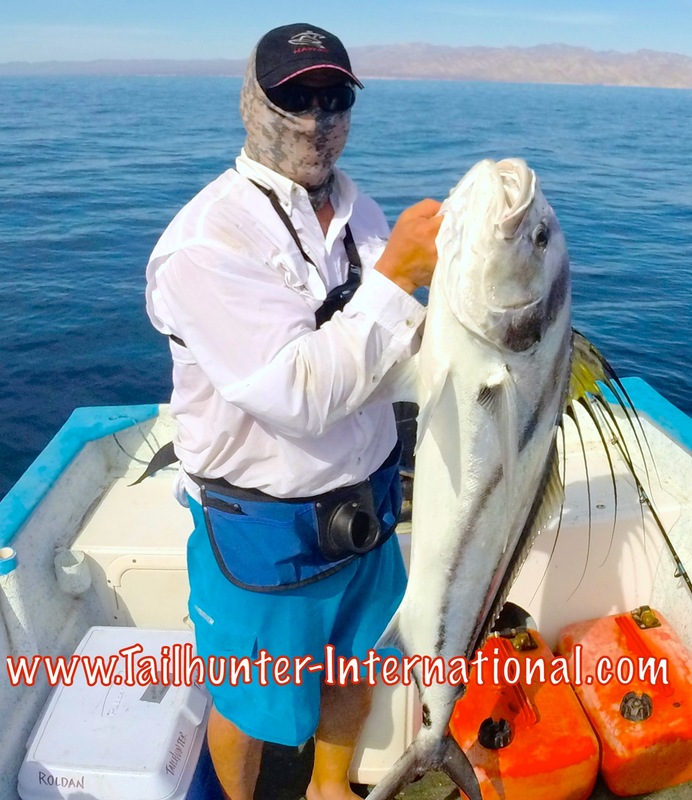 We’d have our clients fishing in La Paz where there was alot more action. However, this past week, we got some welcome surprises. 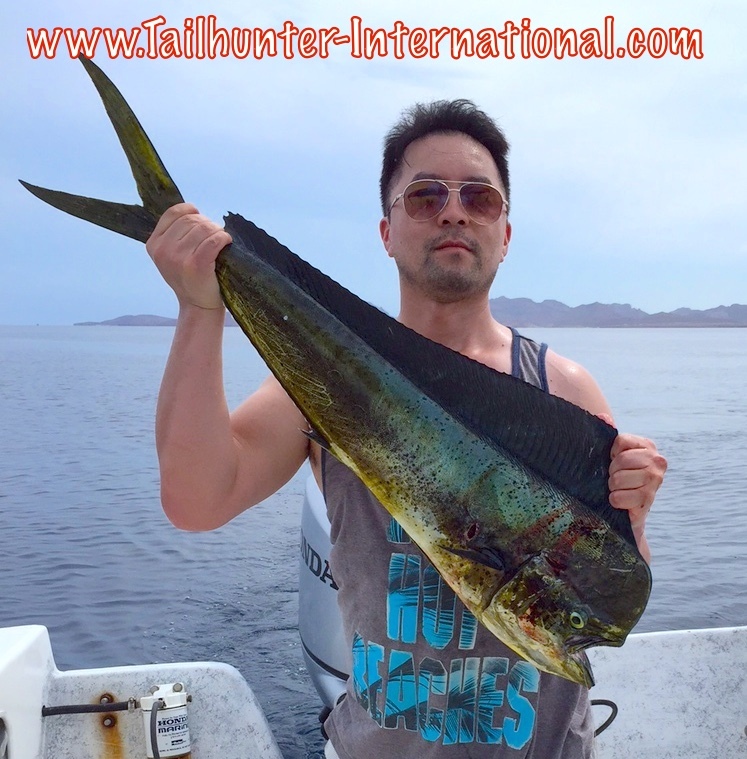 The biggest was that we caught some yellowtail in the deep water right of the Las Arenas lighthouse. One of those rare occasions when you put on some weight and dropped a live or dead mackerel down 80-200 feet! (Like fishing in Loreto where the yellowtail hunker down deep!) . But the mackerel were the key. 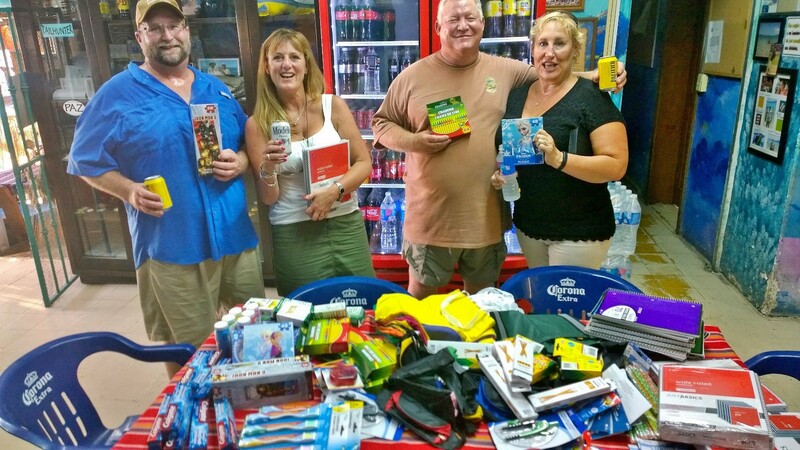 Guys were scouring the stores in La Paz looking for mackies! Frozen worked just fine. 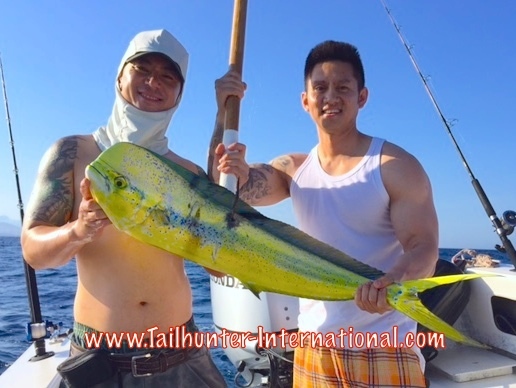 The real surprise is that yellowtail are cold water fish! We get them in the cold water months of February to May. 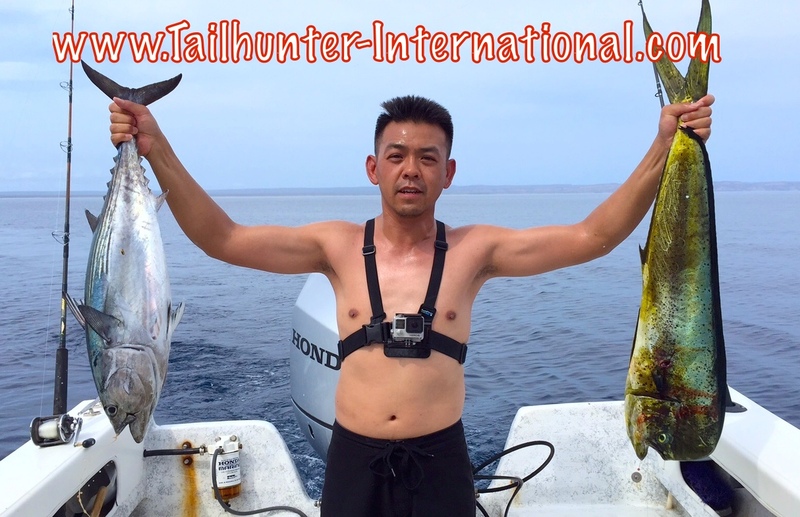 In 20 years here, I’ve not ever seen any yellowtail caught in the summer! No one is complaining, however. These fish have been legit 20-30 pounders! The other surprise is finding out there’s still wahoo in the area. We hooked and dropped a few this week and put a few in the tank as well. After the phenomenal May and June wahoo bonanza we had this year, it just shut off after that. So, good to know the speedy fish are still around. Good-sized 20-30 pounders all on jigs or slow-trolled Rapalas! Dorado dorado dorado! We’ve had them since springtime, but they’ve been so dinky, it’s ridiculous. But, they’ve bee a blessing because they’ve provided so much action. But, just way smaller than what we should have been getting. 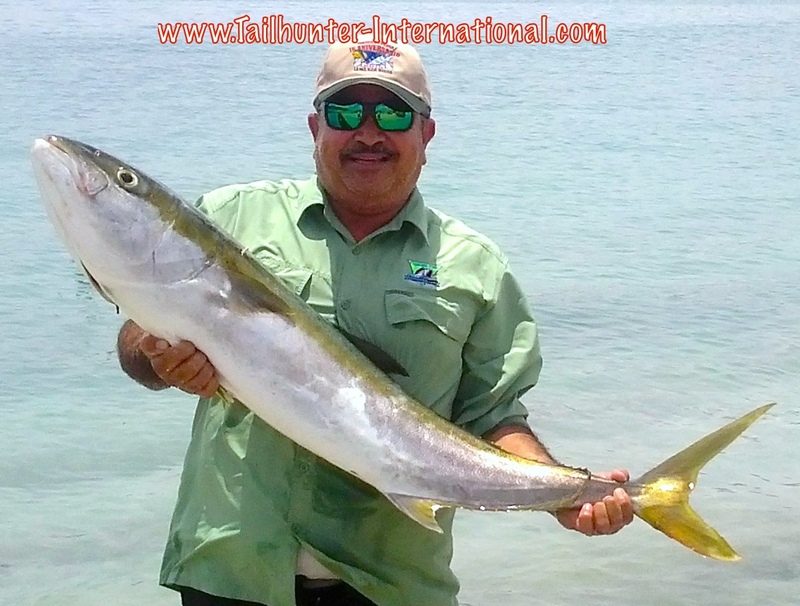 I mean, seriously…if you want to catch 12-inch dorado, there are some spots where you can park the panga all day and have a blast on light tackle catching-and-releasing as fast as you can go. Slowly, however, the fish have gotten bigger. Just not very fast. 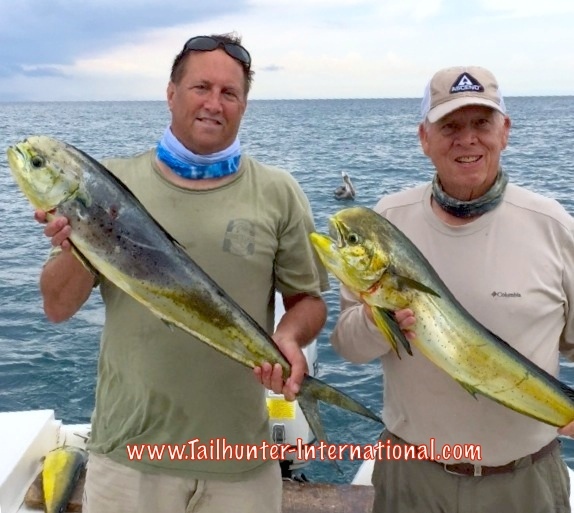 This past week, better quality 15-30 pounders started showing up to the point where the fishermen were tossing back smaller fish. With the afternoon rains popping up, on some days, it was nice to get a limit of fish and be back to town by noon or 1 with a good load of fillets for the cooler. 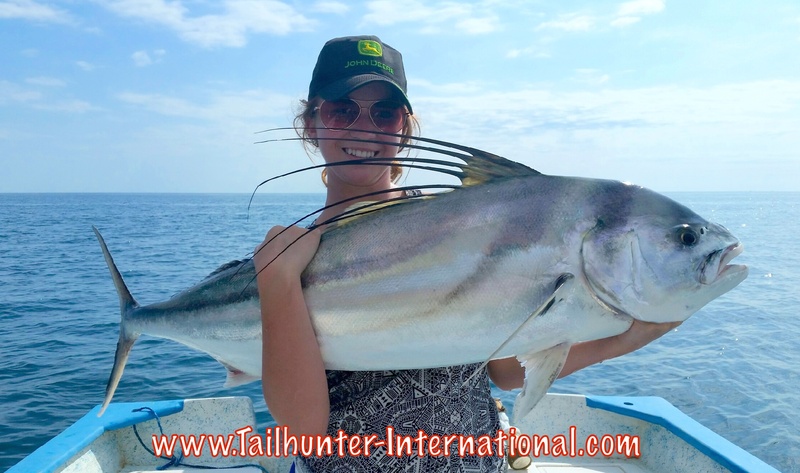 For other species, still big bonito around…some smaller rooster fish…and we did get a few marlin and sailfish hooked and released this week. 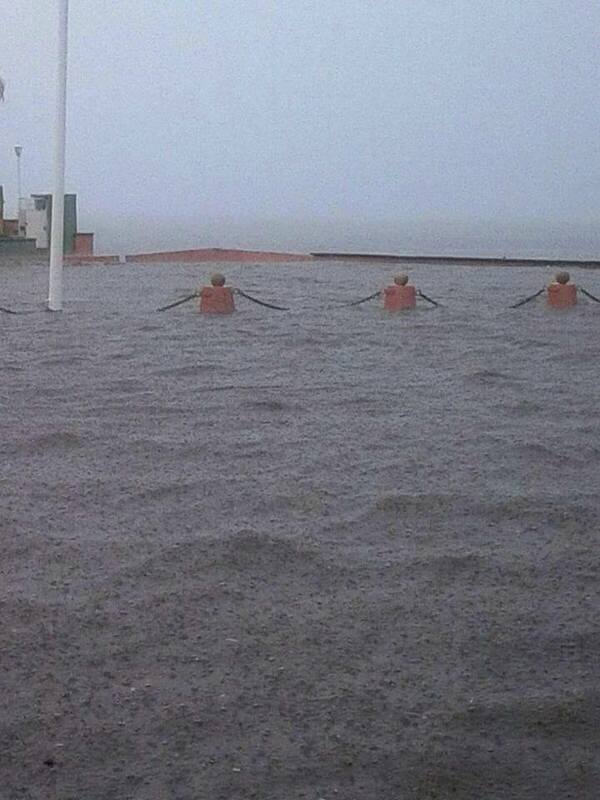 THE MALECON…WHERE THE RUNOFF MEETS THE BAY! JUST HAD TO TRY IT! NOT RECOMMENDED BY THE MANUAL. 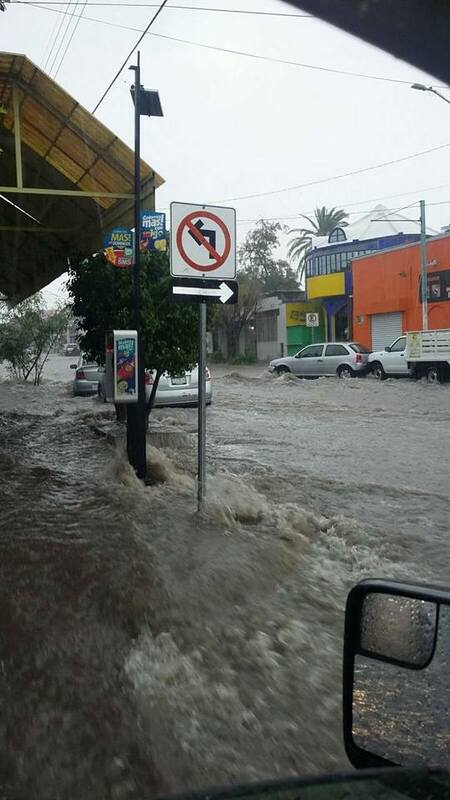 DOWNTOWN LA PAZ. Big smile from amigo and hunting guide, Ken Chaplin from Oregon, who finally made it down to visit us and was able to check several boxes off his bucket list including “big roosters.” It was a good week for it. Ken caught and released several. Wade Ralston is a pro fishing guide and light tackle expert from Washington (Happy Birthday, amigo!) 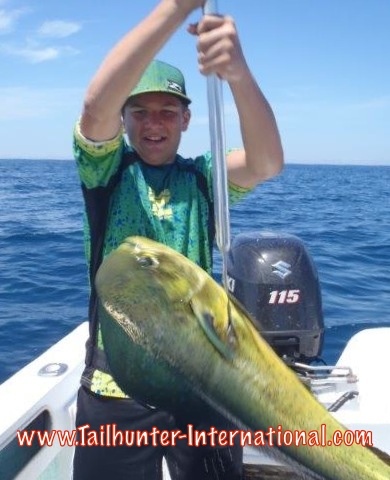 and he had a kick on the light rods with dorado, big fast bonito and a bunch of other species out’ve La Paz Bay. 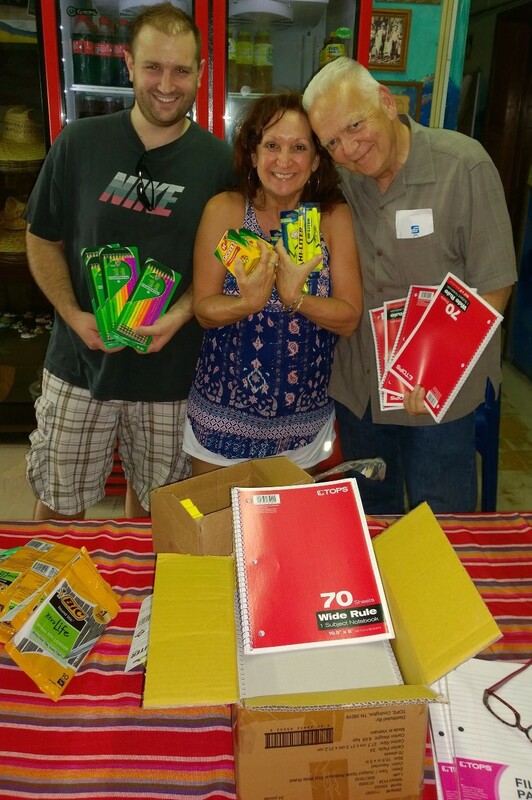 Dave Schneider was on his first trip with us here in La Paz from San Jose CA. 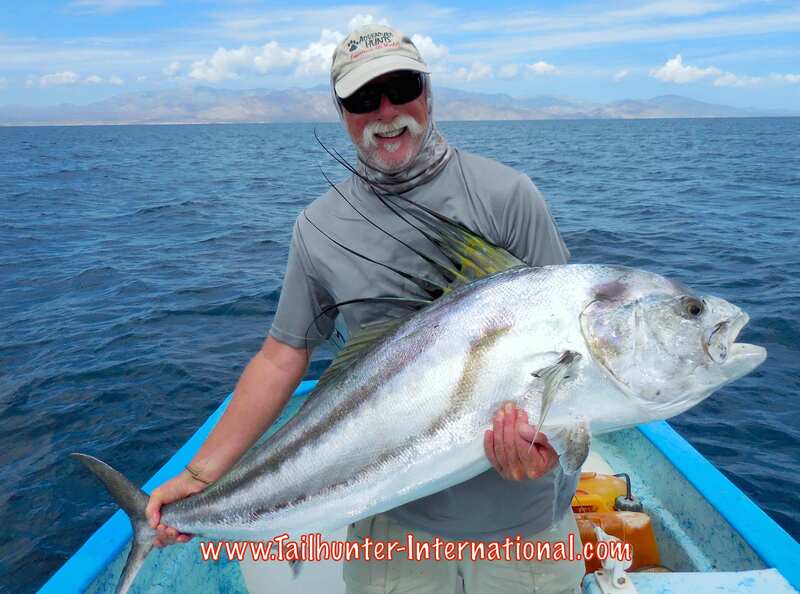 He’s here with Captain Victor and a big roosterfish. He caught several this week and released them all, but this one swallowed the hook and couldn’t be released. He donated the meat. 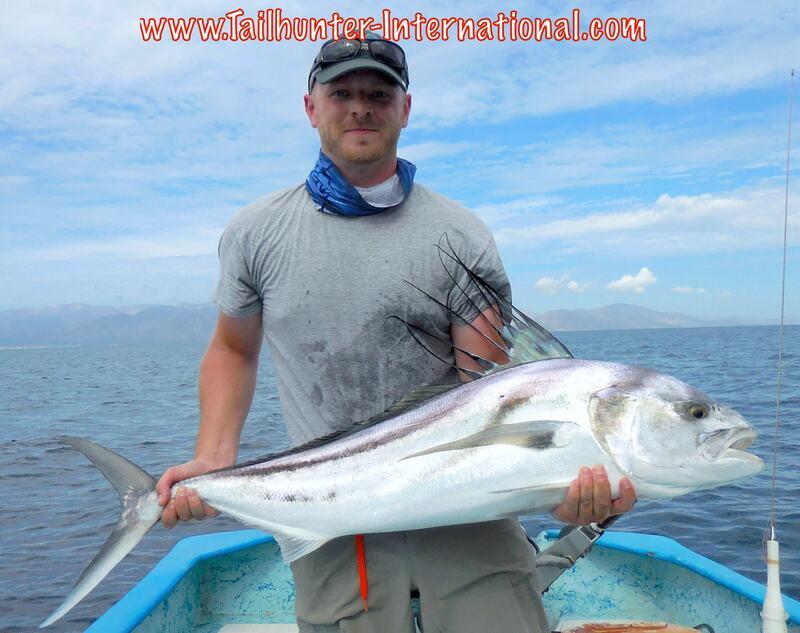 Roosterfish rocked alot of anglers this week! Big rooster for Dustin Chaplin from the Seattle WA area. 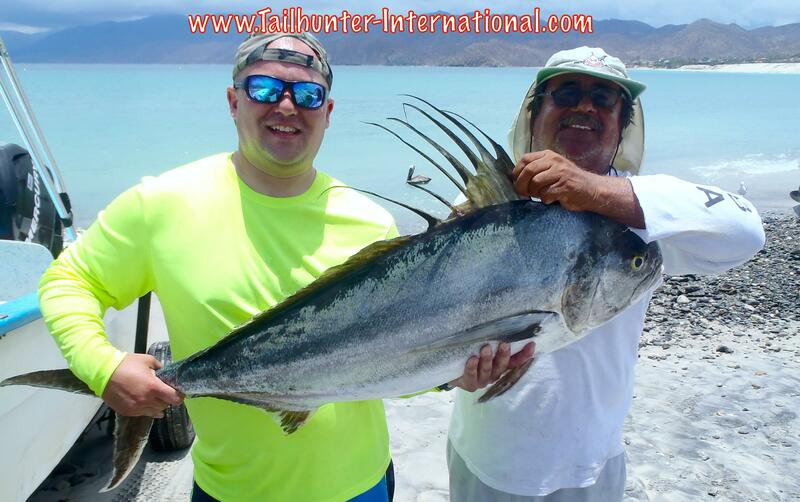 Dustin came down with his dad and they got into some nice roosters this week and caught and released several nice ones like this with our Tailhunter Las Arenas fleet. Texas in the house! Long-time amigo, Dave Hill spent the week parked on the dorado out’ve La Paz and poses with another fish while fishing with Captain Boli. The man behind the mask is our amigo, Larry Barnard, from El Segungo CA! Larry got into the roosters this past week and shows off another fish he released. He visits us every year! 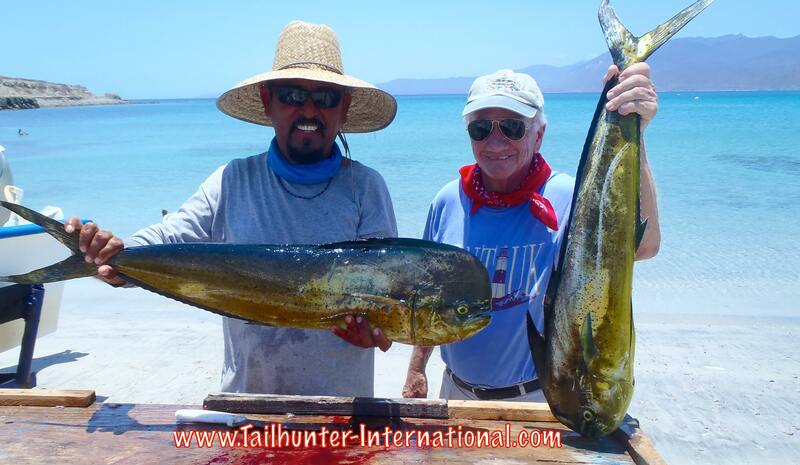 Captain John Seidensticker with our own Captain Jorge and some of the better grade dorado from Bahia de Los Muertos. 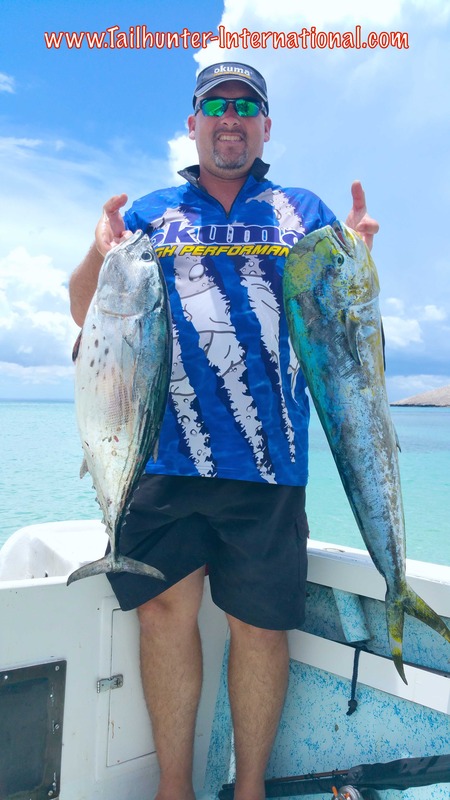 First-timer from the Bay Area, Joe Hill had a blast this week catching his first dorado fishing all week with our Tailhunter La Paz fleet and Captain Boli. Fishing was steady this week, if not spectacular. Everyone got fish, even with the big blue moon full on. There were some blustery days and a bit of swell generated by a big storm far to the south, but no rain or bad weather at all. On the contrary, it was hot and humid. Waters looked good. 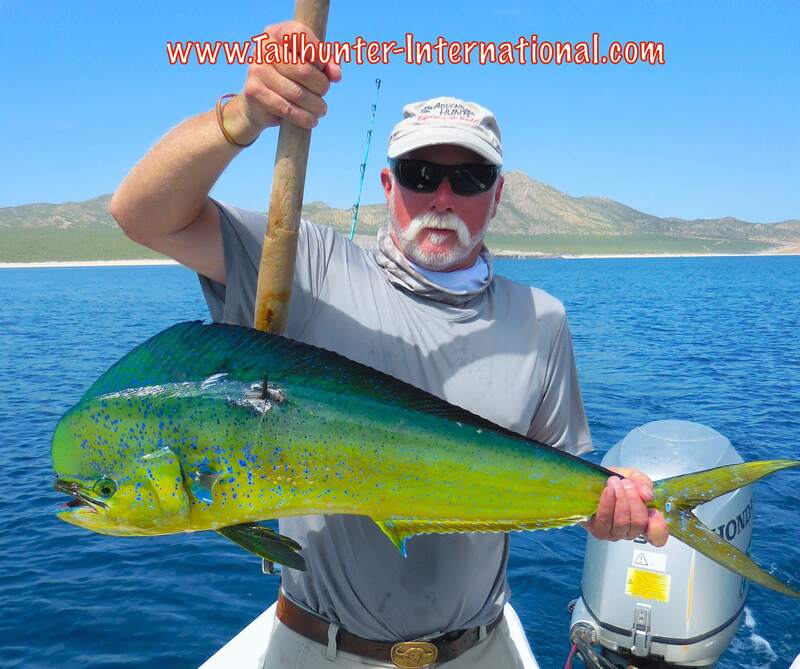 Like I said, everyone got fish with the three main species being roosters, dorado and marlin. The good thing is that for the most part, if you were hunting for a certain species and had a day or two to pursue them, you got what you were looking for. 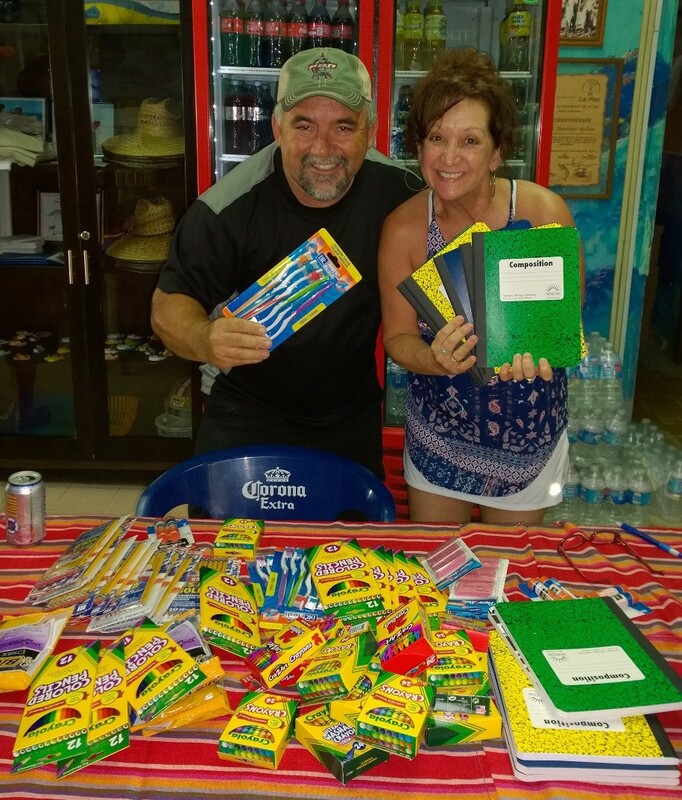 So, the folks that wanted a marlin, got a marlin…or a rooster…or had fun with dorado! That’s all good! Again, this is why they call it the rooster fish capital of the world. The roosters generally, did not disappoint. 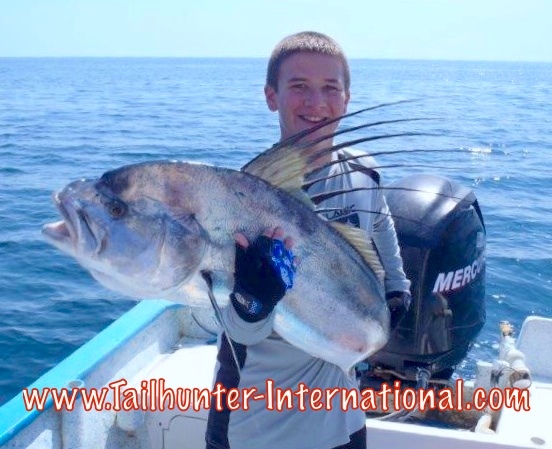 The “smaller roosters” this week were in the 30 pound class. 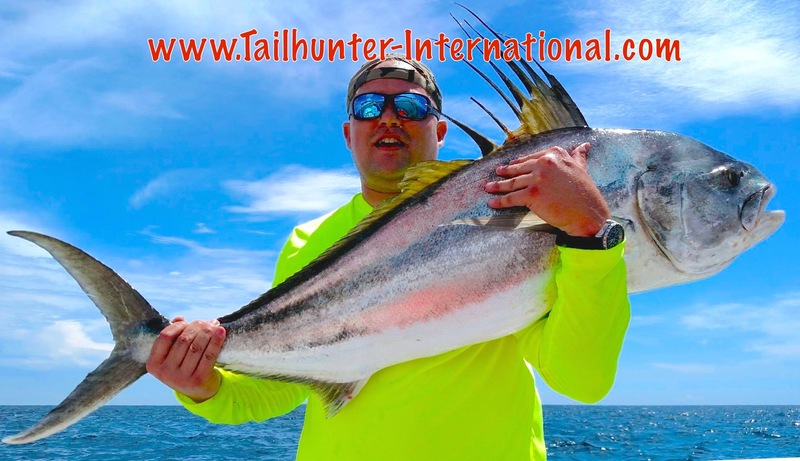 The larger ones were good-sized 50-60 pounders with larger roosters lost! Most days, if you were looking for a rooster, you got one…or two…or three! Great to check off the bucket list! The only days when the roosters were tough were the days it was windy and it was hard to get bait. And that’s the issue. Bait is still tough to get out there. 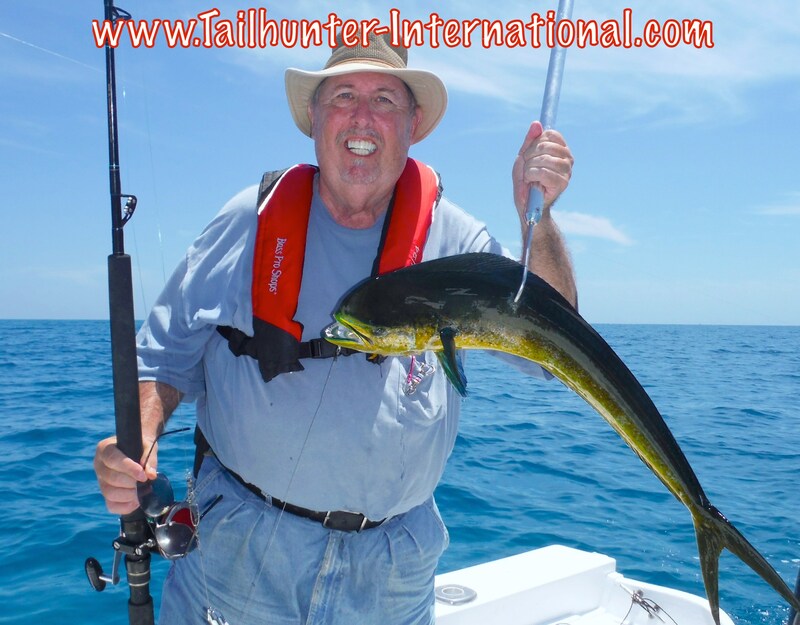 The larger baits like caballitos, mackerel and lady fish are great and most days you can get a handful to try for a rooster or marlin. But the smaller baits like the sardines are hard to come by. So, beyond the roosters, we’re getting some OK-sized 10-15 pound dorado. Many are the 5 pound class. 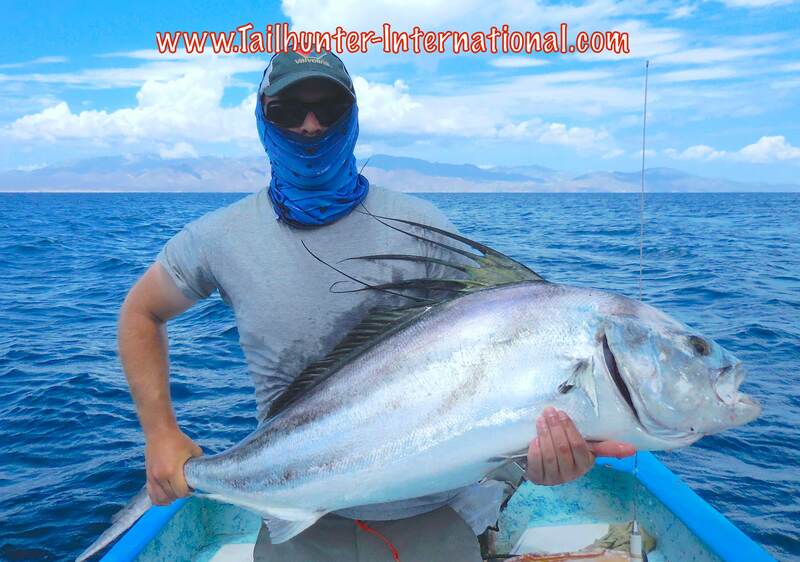 There’s also small roosters in Muertos Bay around 5 pounds that are a hoot on light tackle or flyrod. There’s also some smaller pargo, cabrilla, triggerfish and such along the rocks that are great eating. 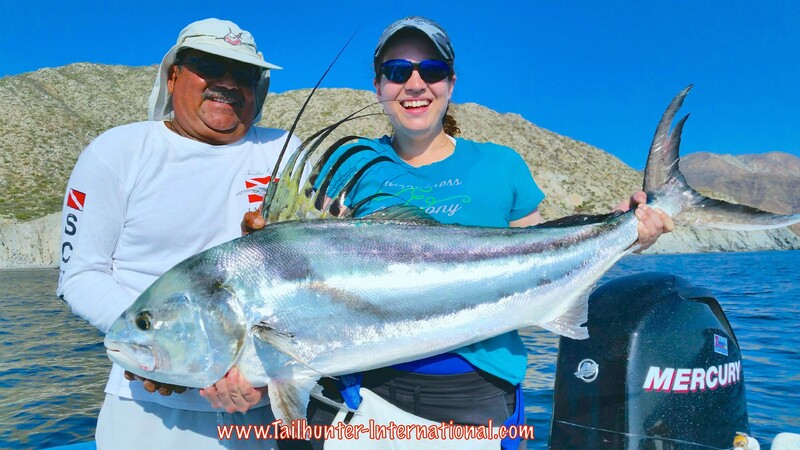 If you want to put fillets in the ice chest, fishing with our La Paz Fleet is best. 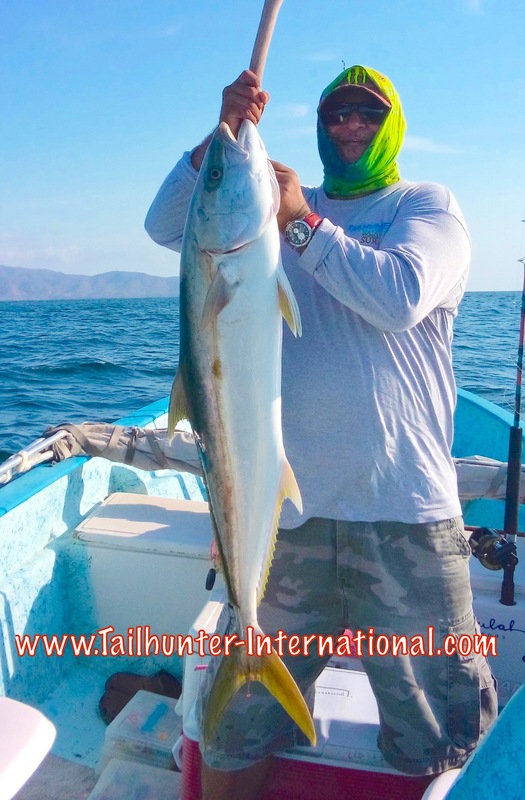 Most days, it’s limits or near limits of dorado around the areas north of La Paz and around Espirito Santo Island. The fish are slow to get bigger. Lots of dinks unfortunately, in the 5-10 pound class, but some are getting bigger. We finally got into a few in the 20 pound class, but few and far between. This is more like May fishing than August fishing! But, in terms of just action, it’s hard to resist a school of hungry dorado slamming around the panga. Actually, the big bonito are larger than the dorado and surely a zillion times more powerful. 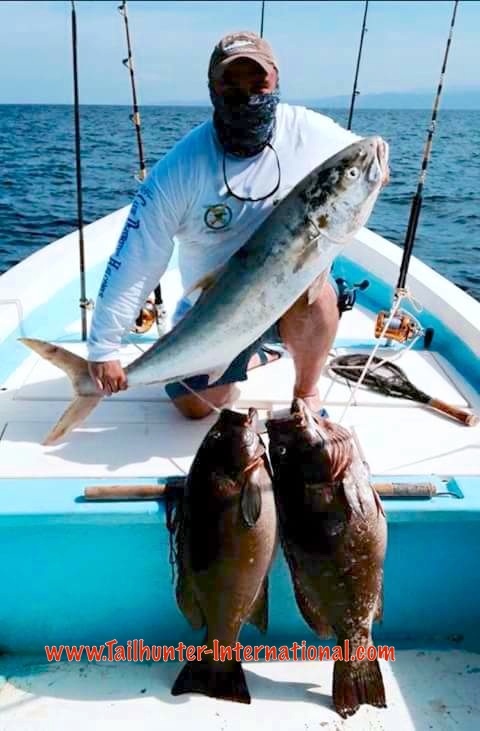 Lots of 10-15 pound bonito around that are just beating the heck out’ve our light tackle guys mixed in with some 25 pound jack crevalle. I think because we have so many little dorado around, it’s also keeping the marlin around as well. 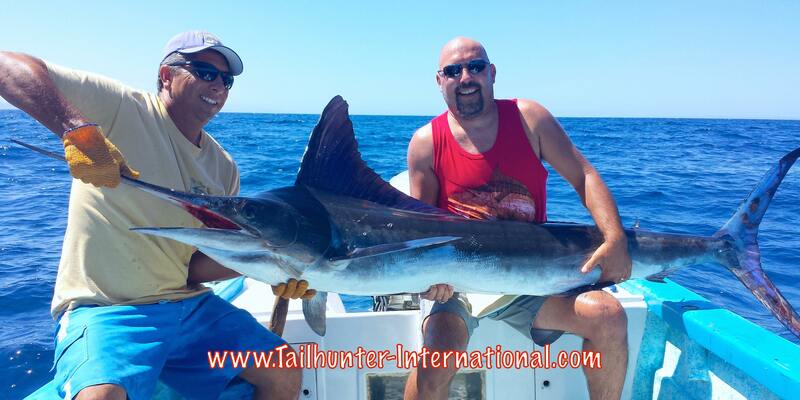 Like I said earlier, if you’re looking for a marlin, this past week was a good one to get it off the bucket list. Everyone who wanted a marlin at least had a hook-up or two and all fish this week were released. Most of the marlin were stripers going 100-150 pounds. We did have two blue marlin on for awhile that might’ve gone 200 pounds before they busted off. There’s still some decent action on pargo and cabrilla in the coves around the islands and reefs although not sure how much longer that will last with the warming waters. Guys have a kick this week on the light tackle trying to pull them outta the rocks. Last week, I incorrectly said this was my amigo, Larry Barnard , holding the big rooster. FAIL! It’s Matt Iacabelli from Florida who was on the boat with Larry! Apologies to both amigos! Nice fish, Matt! It’s still an awesome photo! Larry is actually pictures above! 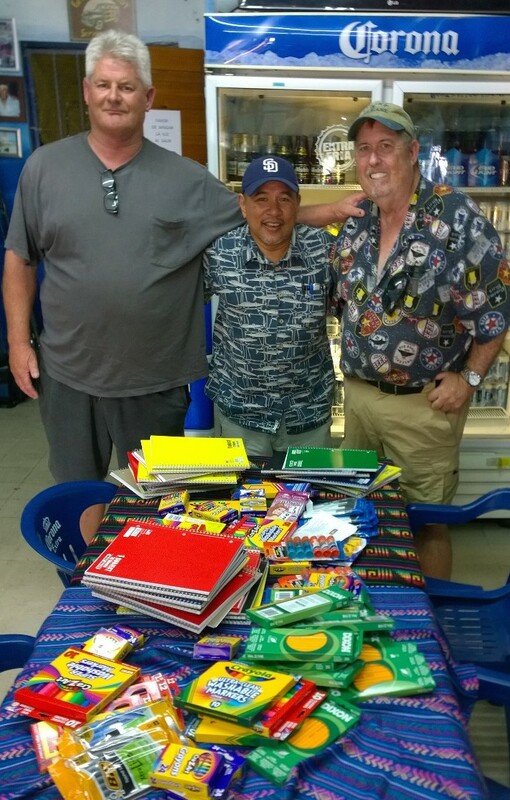 Shout out to Joe and Dave Hill who brought down a bunch of stuff for our kid’s charities. Thanks guys. 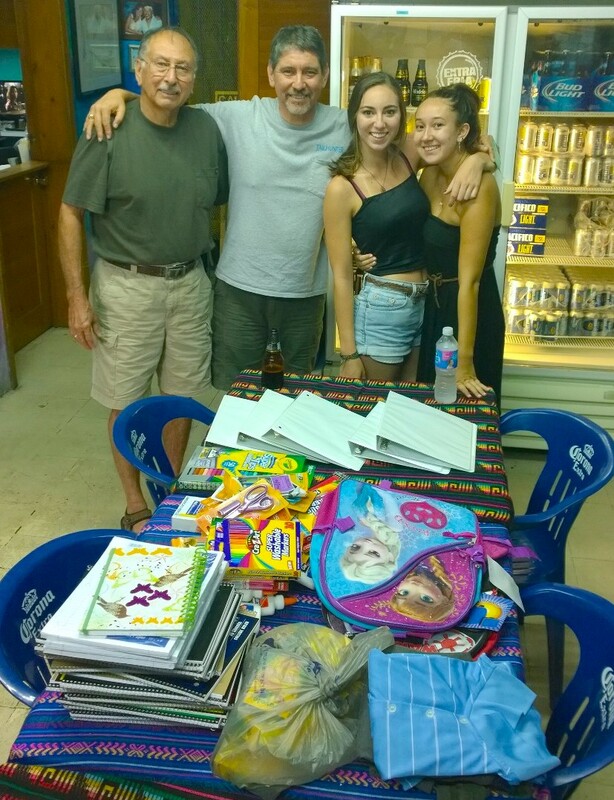 Also, to Dave Schneider who brought down an ice chest full of stuff as well, but I didn’t have my camera with me! You guys are all great!